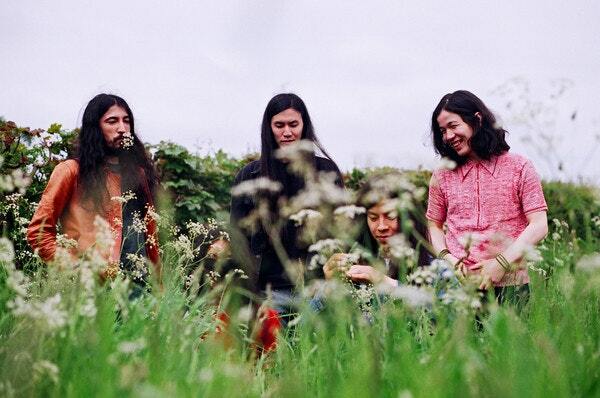 Tokyo-based group Kikagaku Moyo forges heavy-improv psychedelia, including elements of German Krautrock, classic Indian raga and acid folk. Kikagaku Moyo - Japanese for "geometric patterns" - finds a perfect balance between tense, crushing jams and delicate, tender moments, delving deep into uncharted, psychedelic terrain. The band's new album 'Masana Temples' is the culmination of the band's experiences living and traveling together, with the word 'Masana' birthed by the band members themselves, meaning: "a Utopian feeling, an existence where everything can interact harmoniously and offer inspiration and understanding."